On January 27, Massachusetts Governor Charlie Baker released a $39.6 billion state budget proposal for fiscal year 2017. “This year’s budget sets the table for fiscal responsibility and a strong economic environment, without raising taxes or fees on our hardworking families,” Baker said in a press release. The Administration is charged with closing a $635 million budget gap. Among the governor’s specific budget proposals for early education is a new Quality Improvement line item in the Department of Early Education and Care’s (EEC) budget (line item 3000-1020). The proposal emphasizes the importance of program quality, and consolidates funds from existing quality improvement line items including UPK, Early Childhood Mental Health, Services for Infants and Parents, Commonwealth Preschool Partnership Initiative, and EEC administration. Governor Baker’s budget would also level-fund full-day kindergarten grants, while changing how the grant is structured. Read more details on our blog, and visit our budget webpage for ongoing updates. The governor’s proposal is the first step the state budget process. The House of Representatives will release its own budget in April and the Senate will release its proposal in May. Our elected officials need to hear from us. Tell them now is the time to level the playing field for children and deliver on the promise of high-quality early education. The second year of the 2015-2016 state legislative session is in full swing, and our elected officials are increasingly focused on early education. 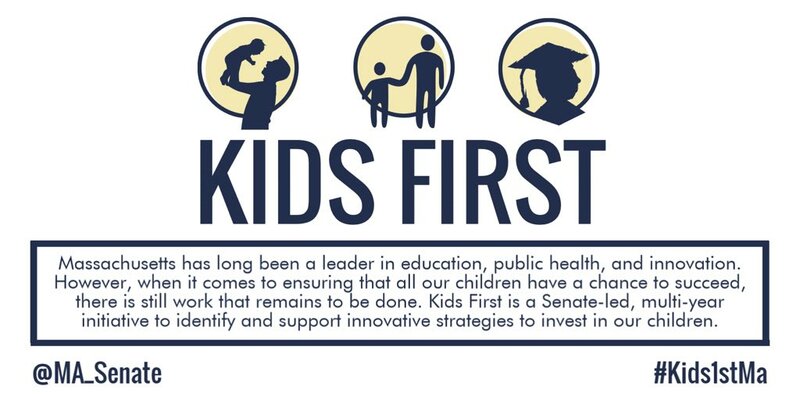 Meanwhile, the Massachusetts Senate recently launched a new initiative called Kids First that will work to improve the lives of the commonwealth’s children. Led by Senator Sal DiDomenico, the group, in its first phase, will look at the key developmental years from birth to fourth grade. Read more. The grant recipients are: Athol, Brockton, Cape Cod, Fall River, Holyoke, Lawrence, Lowell, New Bedford, North Adams, Pittsfield, Springfield, Somerville, and Worcester. “We applaud the Department of Early Education and Care for its new initiative supporting preschool planning,” Chris Martes, Strategies for Children’s president and CEO, said in a statement. “Local partnerships like these are absolutely essential for delivering on the promise of high-quality preschool.” Read more. It's #SuperTuesday - a chance for 12 states to vote to #InvestInKids! "In Mass. schools, a focus on well-being" http://ow.ly/WNNky feat. research by @MassInc & @therenniecenter. Excited to be in #Worcester for @readingby3rd New England Convening @RIKidsCount @MASchoolsK12 @readby4thgrade. Earlier this month I had the opportunity to travel to North Carolina for a week-long site visit organized by the Alliance for Early Success. The purpose of the visit was to learn about the strategies used in North Carolina to: improve the quality of early learning in a blended early childhood system, to provide comprehensive services to young children and families through state and community partnering, and to build an infrastructure of state and local nonprofit organizations that are focused on mutual goals to improve school readiness. Our group included leaders from Georgia, Kentucky, Mississippi, New Mexico, Oklahoma and Oregon. I learned a great deal from them, from our fearless tour guides Karen Ponder and Gerry Cobb, and from the incredible leaders we had the chance to meet during the week. Our visit started with meeting Governor Jim Hunt who led North Carolina’s campaign for young children in the 90s and created Smart-Start, a public private partnership. What an incredible leader for children and families! His advice to us as advocates was, “not to write anyone off. This is winnable.” He continues to be a strong advocate and believes so passionately about giving young children the start they deserve. We visited two local partnerships —Durham and Down East— to learn more about their role in comprehensive planning and delivering services for children starting at birth. We also met with Anna Carter from Child Care Services Association who gave an overview of the system including funding and the work they have done focused on the workforce. Cynthia Wheeler, the Director of NC PreK, shared information about the mixed delivery model and their innovative teacher support model. We ended the week with a visit to the Frank Porter Graham Child Development Institute at UNC where we heard from several principal investigators who discussed their early childhood research projects and findings. I am so grateful for the experience. I agree with Governor Hunt, ensuring children get the start they deserve is winnable in Massachusetts. Onward.